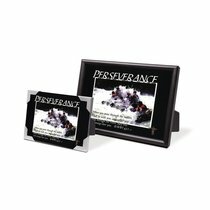 These inspirational aluminium framed prints measure 12.5x 9cm. Perfect for photos too! About "Framed: Perseverence Isaiah 43;2"